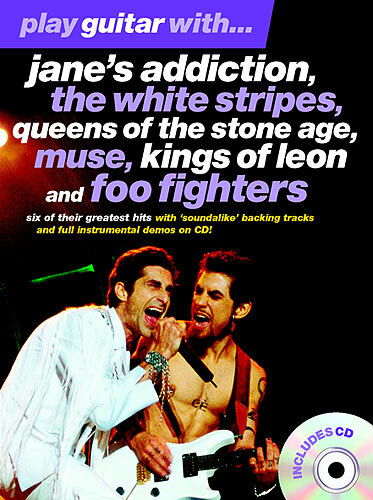 PLAY GUITAR WITH... JANE'S ADDICTION, THE WHITE STRIPES, QUEENS OF THE STONE AGE, MUSE, KINGS OF LEON AND FOO FIGHTERS. JAM. CD TAB. Six great hits with 'soundalike' backing tracks and full instrumental demos on CD! Guitar tablature explained with French and German translations.